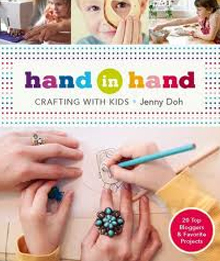 I've already informed the kids that this will be a very crafty summer, so when I was offered the opportunity to review Hand in Hand: Crafting with Kids by Jenny Doh I was very interested. I wanted to see if there were any ideas that would contribute to the plan. I wasn't disappointed at all. 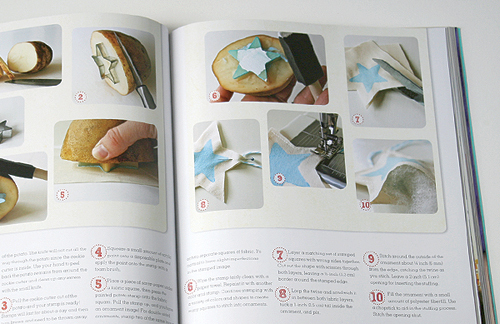 The projects in the book are simple for little hands and entertaining enough for older kids. I know my 9 yr old will enjoy it. I don't know about my 12yr old—but you never know. 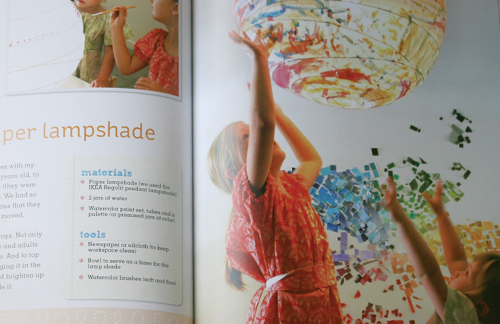 What is completely unique about this book (in comparison to other kids crafting books that I can recall) is the fact that the projects are created by 20 extremely creative mothers (many well known in the online blogging world). 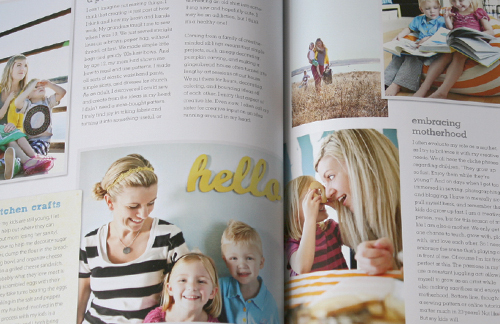 Not only that, but they share their stories of creativity and how they relate to their children. I haven't read it all but so far much of what they share are either things I can relate to or be inspired by. Just this part of the book makes it an interesting read in itself. The projects are simple but fun. Anyone can tackle them. The instructions for all the projects couldn't be any clearer. This is definitely a great addition to our library and I can't wait to put it too good use in the slow summer days to come.